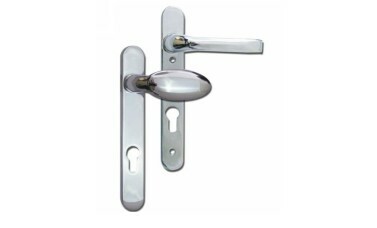 These handles are to suit FUHR, AGB, ASGARD, KFV, MACO, ROTO, WINKHAUS, GU, LOCKMASTER & MILA Multipoint Locks. Fixing lugs are supplied on both backplates (2 on each) for a more secure fix. 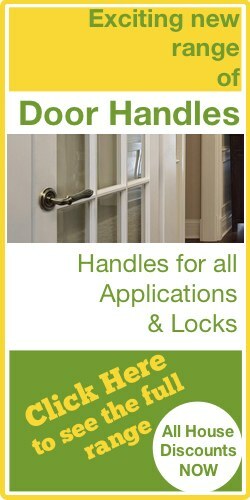 These handles are NON-HANDED and so can be mounted in Right or Left hand operation. These handles are SPRUNG. Fixing lugs are supplied on both backplates (2 on each) for a more secure fix. 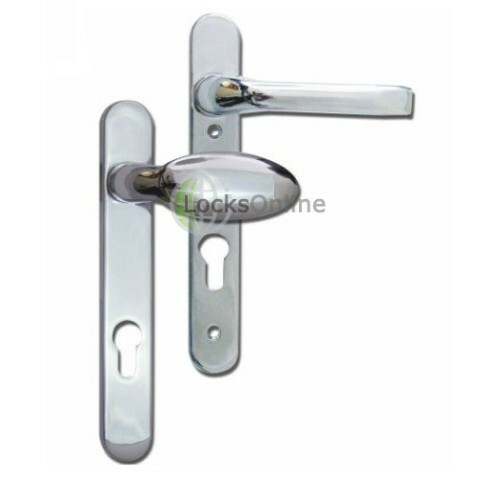 Compatible with euro profile cylinder locks. See full measurements in the 'measurements' tab below. Hi guys! My name is Darrel, and I'm head of the tech team here at LocksOnline. Thanks for taking some time to tune in and have a quick look at one of our product review videos. Now, we're putting these short little videos together to be able to give you, our customers, the opportunity to see the products that we have to offer in hopefully, a little bit more detail, so to speak. So today I want to show you one of the products that we have on our website. It's a UPVC door handle that's been designed and manufactured by the company Mila. 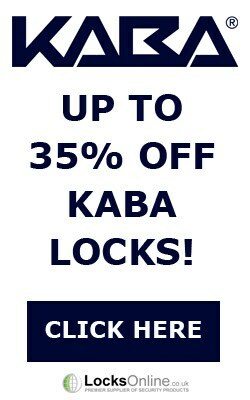 Now Mila have been around for as long as I've been in the industry, so in excess of 25 or plus years, and of course, they do a range of multi-point locks and so forth for UPVC doors and all the different types of composite doors that are now starting to be seen on the market a lot. This is one of their handles out of the complete range that they do. So this is one that we wanted to try and show you in a little bit more detail that we have displayed on our website. Now from the outside, this is the outside handle, as you can see, it has this slightly different shape to the normal style of handle that you may expect to see on the inside. This is the inside handle here, which is more popular in regards to its long shape. Now this is more of a style-conscious sort of solution, the principle of how it all works, you can drop the handle down, no problem at all. You can lift the handle up as well, if you want to, and of course you can change the handing depending on which way your door operates, as well. Now these particular handles on both of these plates are sprung-loaded here in the back, so as I operate that there, you can see then the springs operating against that. 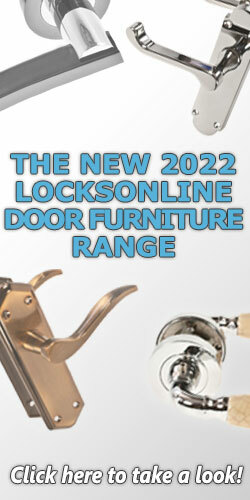 So what it means is that you're not totally relying on the springs inside the lock in which to keep the handles up. You may see some older types of UPVC doors which have got what we call the "droopy handle syndrome" and that's the reason, because their handles are not sprung. So this particular handle is what we would call a "sprung handle." Now the fixings are quite unusual in respect to this handle as well, because the screw fixings are actually sitting underneath the handle, and therefore, as you can see there, it's slightly different. You'd normally have a screw fixing over the top of this particular handle. So if you're thinking that you want to replace your handles, if they've seen better days, these are the sort of things that you need to take in mind, is the actual shape here, does it have that shape? Are the fixings actually below? And of course, you can tell that from the inside handle, because this is where the screw holes would be, so therefore they're going to give you some sort of indication. I'll get some measurements on those a little bit later for you, anyway. Also, Mila have decided on these particular handles as well, and if you could zoom down in here, it gives you two different spindle lengths there, for all the different thicknesses of doors, and there's also three sets of different length screws. If you zoom in on the front there, you can see that Mila have taken the time to actually paint the heads of the screws as well, and therefore it will look a lot better on the door in that respect. So without further to do, let's get some measurements for you. The actual width of the actual handle itself is just slightly over the 31 millimetre -- I would push it as far as 32 millimetres. The PZ measurement, which is the distance from the centre of the handle there to the centre of the keyhole, not the cylinder may I add, the actual PZ on this particular handle here is the industry standard of 92 millimetres. The fixing centres, the actual fixing centres there is I'm going to be pushing that at around about the 123 millimetre fixing centres. To give you some sort of idea as to where these fixing centres sit in relationship to the handle, if I was to pop that on there like that, the first fixing centre is coming in at around about 23 millimetres, and then the second fixing centre is coming in at around about 145 millimetres. That gives you a data in which to have a look at where those handles sit there. So there you go, guys. There's not much more information that I can say about these, but at least now it does give you the opportunity to see this pair of handles "in the flesh," so to speak. It'll hopefully help you make a bit better of an informed decision as to whether or not this is the product that you're looking for. 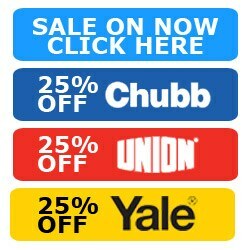 But listen, if you need a bit more information on this or any of the products that we have, pop us over an email, use the live chat that we have, or simply pick up the phone and give us a call. We'd love to hear from you, we'd love to see you as our customer, so from me, Darrel, and all of us at the team, thanks for taking the time to tune in. Catch up with you real soon. Take care, goodbye.